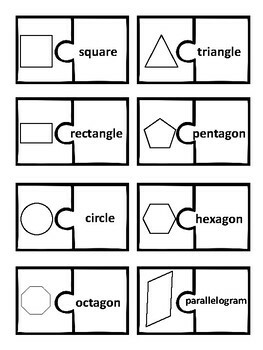 In this game students practice identifying shapes by matching the shape to its word form. Students can play on their own, or take turns playing with a partner. 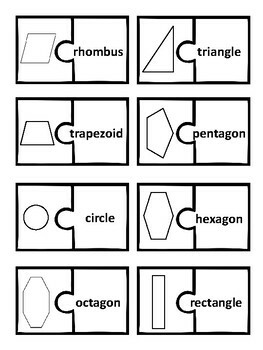 Shapes include circle, triangle, square, rectangle, parallelogram, trapezoid, pentagon, hexagon, and octagon. Great for a math center!